The Report Company: What is your assessment of the country’s current stage of development? 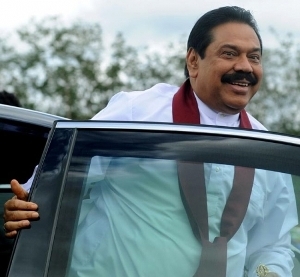 Mahinda Rajapaksa: I am convinced that Sri Lanka can attain a much higher stage of development than we are currently at. Unfortunately, we lagged behind for over 30 years as a result of a debilitating war that sapped the energies of our nation and the will of our people. However, we, as a people, have the ability and courage to overcome any challenge and to create a new future for ourselves. TRC: What key factors have driven the country’s successful economic turnaround since the end of the conflict? MR: Long before the humanitarian operation ended, we started work on our economic agenda. I was of the firm view that there is no peace without development, and there is no development without peace. It was soon clear that such strategy had great merit since we were able to create a new momentum which led to the successful turnaround of our country. I believe the next few years will be exciting for our country and I think we can continue to build on this strong and stable platform and convince the world that Sri Lanka is truly the emerging wonder of Asia. TRC: What are the competitive advantages of Sri Lanka as an investment destination? MR: The economic conditions in Sri Lanka have improved tremendously over the past several years, and I am proud to say that Sri Lanka is now emerging as a middle income nation. We are considered by many investors as a safe destination, and sectors such as tourism, ICT, port and maritime related activities, agriculture based industries and the apparel sector have shown strong potential. We have also added several new and exciting sectors to our economic landscape and are giving priority to improving our “doing business” practices, as well as our commercial and banking practices. TRC: What are your short-term objectives to enhance the quality of life of Sri Lankans? MR: We are keen to transform Sri Lanka into a modern and prosperous nation with sound ethical and cultural values. Towards that objective, we are working hard to increase our GDP to $100bn (£64bn), and our GDP per capita to $4,000 (£2,500) within the next 3 – 4 years. In the meantime, we also want to ensure that our youth are well educated and possess the necessary skills to benefit from the opportunities of the 21st century. We are keen to preserve our rich and diversified cultural heritage, as well as continually foster national harmony between the people of different races and religions in our country. In addition, we are seriously working towards building a society that will be free from corruption. We are conscious that more needs to be done, and are therefore determined to ensure that these efforts are continued. TRC: What is your personal vision about Sri Lanka’s potential to become a hub for international commerce, and what are the main challenges that lie ahead? MR: For Sri Lanka to be recognised as a hub for international commerce, there are several conditions that need to be fulfilled. Our infrastructure should be up to international standards. Our “doing business” indicators must be on par with the currently accepted international norms. Facilities and opportunities available in the country for education, leisure, health, and entertainment should be at a high level so that foreign investors will see the country as a preferred destination. Our judicial system, legal and accounting practices, and other investor services should be at an internationally acceptable level. Our law and order situation must reach a high level. Our port and aviation services must be efficient and effective. It is clear that we have made great strides in each of these areas and as a result, we have begun to impress many overseas and local investors. But we would also have to admit that Sri Lanka may not have yet reached the very high levels that are generally demanded by some of the more sophisticated investors. There is still work for us to do. In the meantime, our advantages such as our excellent location, good climate, friendly people, knowledgeable work force and good law and order situation will definitely be attractive to many. TRC: What opportunities are available for global investors in Sri Lanka? MR: In line with our strategy of development, an enormous number of opportunities have emerged in apparel, the high-tech and nano-tech sectors and ICT. In addition, tourism is an area where the international hospitality industry could benefit from our tremendous potential. TRC: What is your view of the bilateral trade and investment relationship between Sri Lanka and the UK? MR: While we have committed ourselves to international practices in trade and commerce, we have also been keen to develop strong bilateral partnerships with friendly countries.